I know I just wrote about the show Finding Carter, but I have more to say. Finding Carter: Season 1, Episode 2 - Carter's bedroom in her new home....which is way too decorated to make sense in the plot timeline. Carter's chalk headboard must be the envy of all teens (and people who wish they were still teens). It reminds me of the headboard that Joseph Gordon-Levitt had in 500 Days of Summer. 500 Days of Summer - Bedroom of a guy who doesn't believe his girlfriend when she says she doesn't want to get too serious. I appreciate the crown moldings and I like how the bed on the right uses an actual chalk board as a headboard. Although, the fact that they did chalk rugs exposes these pictures as styled rooms and not actual functioning bedrooms. I have a feeling that this was a catalog shoot for Anthropologie (just a hunch). You can purchase these Eames nock-off chairs from Amazon for $173/pair, which is an awesomely inexpensive way to bring icon design into your home. But the artist, Phillip Estlund, has taken them to the next level. He cut up paper, collaged them, and then applied a coat of polyurethane. These chairs are one of a kind and go for $3,600 a pop......and that is just crazy, but it got me thinking that this could be a really amazing DIY project. Virtually anything would look good on this chair. Sky's the limit! It reminded me a lot of this vintage school chair that had been coated with all canvas prints. 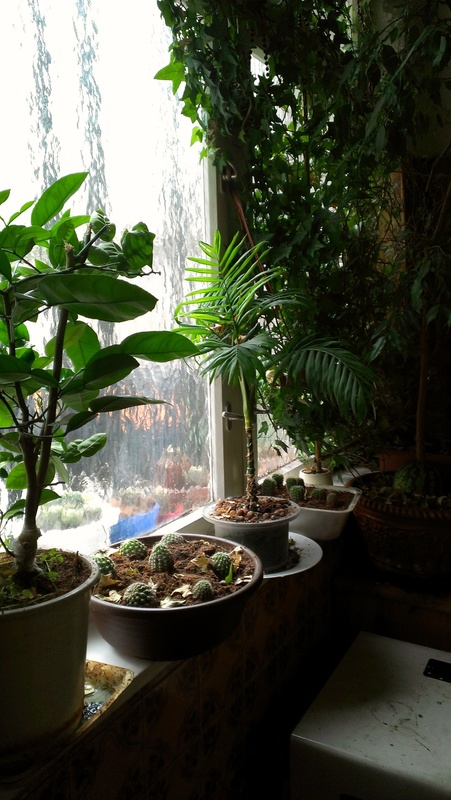 I was in a Chinese restaurant, north of the Vienna, and they had turned the ladies restroom into a lovely indoor garden. 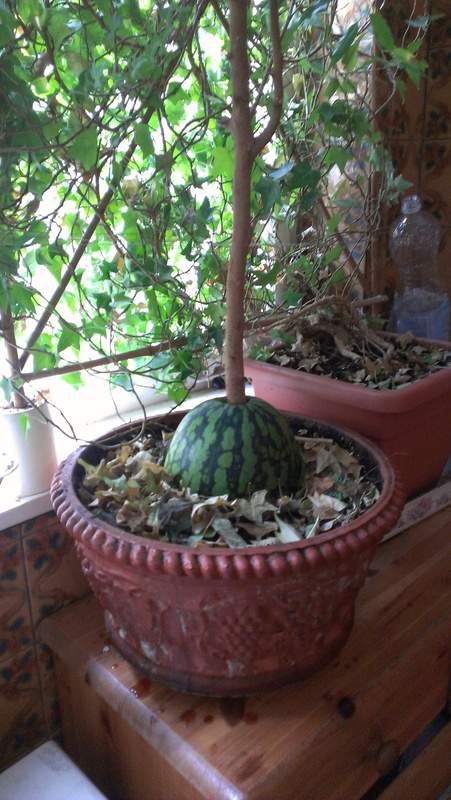 One of the trees was planted INSIDE A WATERMELON! How does that even work? Was it planted when it was super tiny and then grew extra huge because of the nutrients? It does not look like the tree was that size and then the watermelon was added to it. And the watermelon looks so fresh, not mushy and rotting at all. How old is it? I did some googling but I can't find anything about this. DIY people: get on it! Obviously, if the tree had been a fiddle leaf fig, my mind would have been blown to bits.